Back in the days when full-length LPs were still considered a luxury item, record labels devised a way to get people to buy them: hire an unknown singer to do a full-length albums worth of cover versions of all the latest hits. People bought these albums because it was an affordable way to amass a collection of the latest hits, and cheaper than buying the original singles. 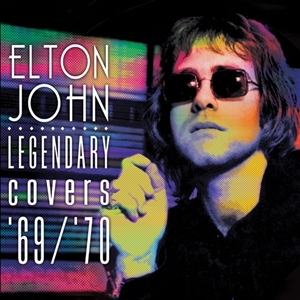 In the late sixties Elton John was one of these "unknown singers" and although the cover albums did not afford him with much creative room (given that by contract he was not allowed to reinterpret any of the covers), they did pay the rent. An interesting glimpse at Elton before he became a pop star.who knows if his mastery of the pop song is not in some small way owed to this early apprenticeship inside the belly of the beast. LP + CD. 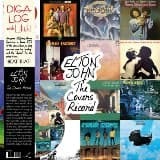 Celebrate the life and career of this music legend and gay icon with this special limited edition RAINBOW vinyl pressing featuring multi-colored splattered vinyl in a rainbow jacket!Classic recordings of Elton on the cusp of his early fame covering a superb collection of hits such as "Signed, Sealed, Delivered," "Spirit In The Sky," "Come And Get It" and more!Major motion picture Rocketman, a film based on Elton John's life, set to hit theaters in May of this year!